Ophir Jewellery is registered with the Edinburgh Assay Office, ensuring our precious metal jewellery is compliant with the UK’s hallmarking regulations. All stock is subject to an internal confirmation process to ensure it meets the UK’s hallmarking regulations before it is dispatched to our customers. 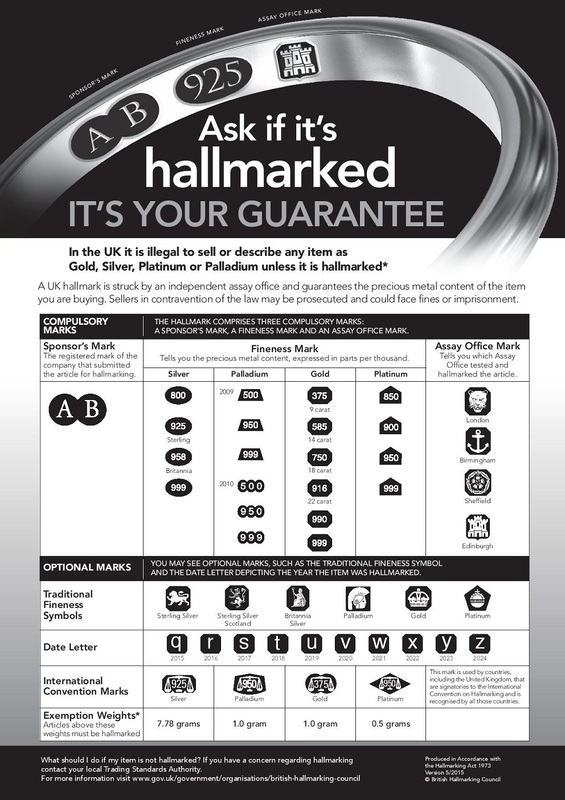 For articles that are below the UK hallmarking Act’s mandatory weight for hallmarking Ophir Jewellery operates a separate due diligence process which involves periodic voluntary testing of items that fall below the mandatory weight to ensure they meet the minimum fineness requirement.